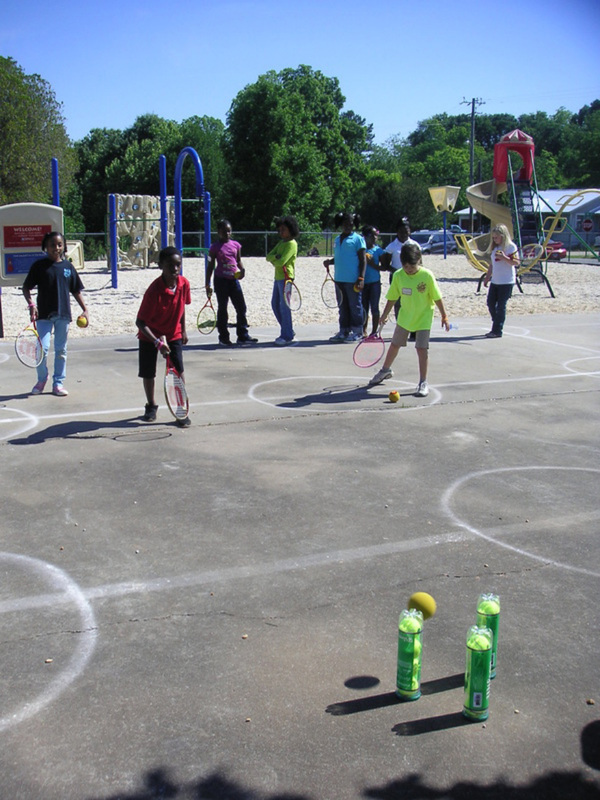 To end our school year at Dadeville Elementary, students take part in a tennis activities day. Pictures below. Coach Tolbert and gang display prizes in front of our USTA/SOUTHERN gameboard. Using our circles to practice, downs. Walking circles to practice dribbling the ball. 15 in a row will get you 2 silly bands. 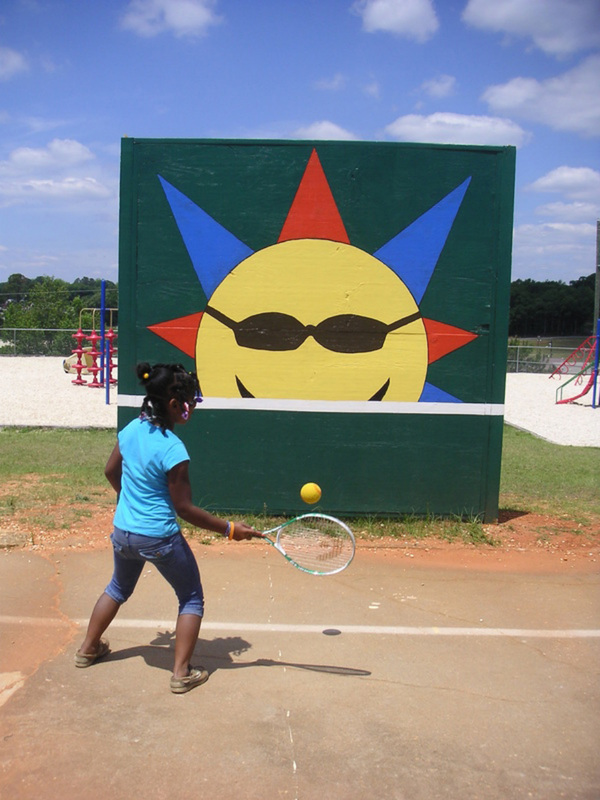 Taking a break to have a game of tennis bowling and win prizes. And we have a winner!!!!!!! We spread out and use the center circle as a hitting point.to rally with partners. 10 in a row will get you a silly band.